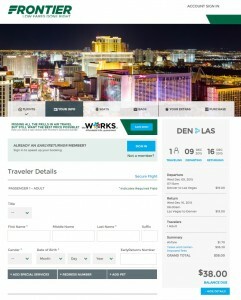 Nonstop flights from Denver to Las Vegas are available just $38-$58 roundtrip, including tax. These fares are $100 off the usual cost, even when factoring in additional fees on Frontier Airlines. Note: Frontier charges for both checked and carry-on bags, usually $25-$35 for the first item. Check our baggage fee chart for more information. 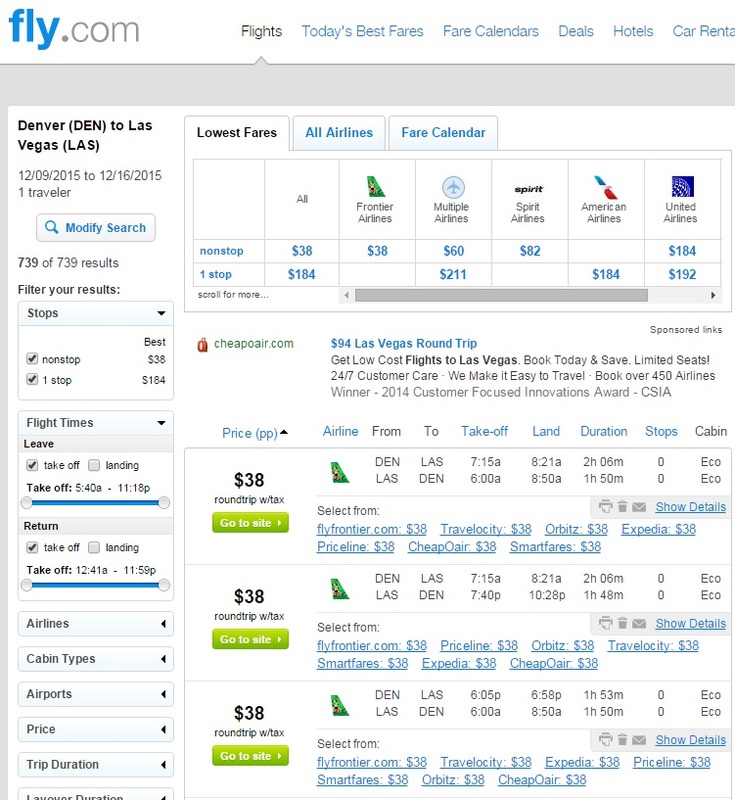 Fare Calendars – This tool shows the best deals from the nearest major airport and allows users to create a custom fare calendar for any route (scroll to the bottom for this functionality). 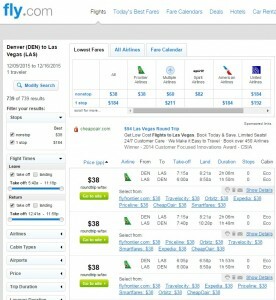 Fly.com regularly posts guest contributions from travel experts around the world. These articles are written by journalists, bloggers, travel enthusiasts, and specialists from within various segments of the travel industry. Each has an undeniable passion for travel that enables them to share a unique and valuable point of view. We hope you enjoy their stories and advice!